Buzz Aldrin (Col., active-duty U.S. Air Force). Personal: Born August 5, 1930, Wapakoneta, Ohio. Married, two children. Education: B.S. in aeronautical engineering, Purdue University, 1955. M.S. in aerospace engineering, University of Southern California, 1970. Spaceflights: Command pilot, Gemini 8 (1966). Commander, Apollo 11 (1969). Was an aviator in the Navy and was chosen with the second group of astronauts in 1962. Made seven flights in the X-15 program [the photo is from 1960], reaching an altitude of 207,500 feet. Was backup command pilot for Gemini 5, command pilot for Gemini 8, backup command pilot for Gemini 11, backup commander for Apollo 8, and commander for Apollo 11 (first man to walk on the Moon). Was Deputy Associate Administrator for Aeronautics at NASA from July 1970 until August 1971, when he resigned to become Professor of Aeronautical Engineering at the University of Cincinnati. Served on the National Commission on Space from 1985 to 1986 and on the Presidential Commission on the Space Shuttle Challenger Accident in 1986. Personal: Born October 31, 1930, Rome, Italy. Married, three children. Education. B.S., U.S. Military Academy, 1952. Spaceflights: Pilot, Gemini 10 (1966). Command module pilot, Apollo 11 (1969). Chosen in the third group of astronauts in 1963. Served as backup pilot for Gemini 7, pilot for Gemini 10, and command module pilot for Apollo 11. Had been assigned to Apollo 8 but was removed to undergo surgery. Resigned from NASA in January 1970 and was appointed Assistant Secretary of State for Public Affairs. Became Director of the National Air and Space Museum at the Smithsonian Institution in April 1971 and was promoted to Under Secretary of the Smithsonian in April 1978. Retired from the Air Force with the rank of Major General. Became Vice President, Field Operations, Vought Corporation, Arlington, Virginia, in February 1980. Later formed Michael Collins Associates, a Washington, D.C. consulting firm. Has written numerous articles and two books, Carrying the Fire and Liftoff, as well as a children's book, Flying to the Moon and Other Strange Places. 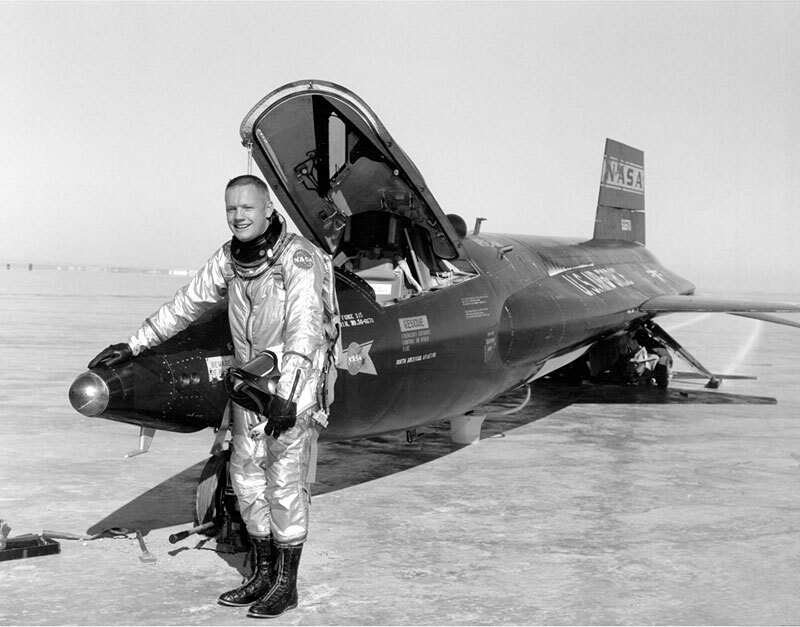 Personal: Born Edwin Eugene Aldrin, Jr., January 20, 1930, Montclair, New Jersey. Later, legally changed his name to "Buzz Aldrin". Married, three children (from a previous marriage). Education: B.S., U.S. Military Academy, 1951. Ph.D. in astronautics, Massachusetts Institute of Technology, 1963. A read-only copy of his Ph.D. thesis, Line-of-Sight Guidance Techniques for Manned Orbital Rendezvous, is available online. Spaceflights: Pilot, Gemini 12 (1966). Lunar module pilot, Apollo 11 (1969). Chosen with the third group of astronauts in 1963. Was backup pilot for Gemini 9, pilot on Gemini 12, backup command module pilot for Apollo 8, and lunar module pilot for Apollo 11 (second man to walk on the Moon). Resigned from NASA in July 1971 to become Commandant of the Aerospace Research Pilot's School at Edwards AFB, California. Retired from the Air Force in 1972 and became a consultant for the Comprehensive Care Corporation, Newport Beach, California. As of 2005, Buzz resided in southern California and lectured and consulted on space sciences with Starcraft Enterprises. Has authored two books, Return to Earth and Men From Earth. Biographical information on Apollo 11 crew, online courtesy NASA. Bos, Carole "Apollo 11 - Crew Photo" AwesomeStories.com. Oct 07, 2013. Apr 20, 2019.